As post-war Britain began to rebuild itself we took a big stride forward and listed on the London stock exchange, enabling a wider range of people to own shares in our business. As we grew our business, we bought Camerons Brewery (along with its 150 pubs), which has been brewing in Hartlepool, County Durham, since 1865, making it one of the town’s oldest and largest employers. Camerons Brewery was sold to Castle Eden Brewery in 2002. A big year for us, as we bought Burton on Trent based brewery, Marston, Thomson & Evershed, which owned 918 pubs across the East Midlands, North West and North Wales. The deal also saw us take ownership of the historic Marston’s Brewery which pioneered the famous Burton Union System in the 1830s. This innovation was widely used up until the mid-20th century, but now Marston’s Pedigree is the only beer in the world which is still brewed in this way. This was also the year that we bought The Mansfield Brewery Company, established in 1855 and well known for favourites such as Mansfield Bitter, Riding Bitter and Marksman Lager. Brewing of Mansfield Beers was transferred to Park Brewery, Wolverhampton in 2001. In summer 2002 we bought Wizard Inns, which operated 63 pubs in the south of England, including many in London, helping us to expand our business into this region. After buying Burtonwood, Jennings Brothers and English Country Inns throughout the course of the year, we operated over 2,250 pubs across the country, making us the third largest brewery in the UK, based on number of pubs. With Jennings Brothers, we also bought the Jennings Brewery, which produces such favourites as Cumberland Ale and Cocker Hoop. Having grown into a national business with pubs and breweries across the whole of the UK, we decided that the time was right to let go of the old company name, Wolverhampton and Dudley Breweries, so we became Marstons. As well as showing that we’d grown into something bigger than are regional beginnings, this name also gave a nod to our heritage, by using a brewing brand name that has existed since 1834. As if a change of name wasn’t enough excitement for one year, we also bought Ringwood Brewery (best known for its award winning beers such as Old Thumper and Fortyniner) and Eldridge Pope, which operated 100 pubs in the south of England. Continuing our expansion, we bought Ryland Thompson along with its subsidiary, Refresh, which included Oxfordshire’s Wychwood Brewery, famous for the popular Hobgoblin and Brakspear ales. Despite the popularity of traditional cask ales, many pubs have shied away from offering them because handling and storing the ales takes more time and care than other beers. In 2009 we invented fastcasktm, a system that makes it much easier for pubs to sell cask ales. Thanks to fastcask tm more pubs than ever are now able to offer a selection of ales to their customers. 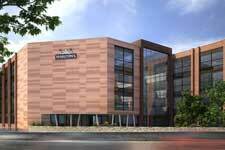 Marston’s Head Office moved back into its fully refurbished and modernised Wolverhampton Headquarters. Marston’s acquired the Charles Wells Brewing and Beer Business with a portfolio of more than 30 beers including leading brands such as Bombardier, Young’s and McEwan’s. In addition, the business has UK distribution rights for the Estrella Damm lager brand and other beers under license including Kirin and Erdinger. In addition Marston’s entered into a long-term exclusive agreement to supply all beer, wine, spirits and minerals to the Charles Wells pub estate.